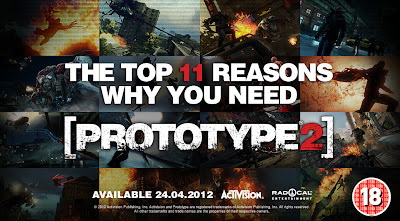 Today Activision released a new trailer for their upcoming game, Prototype 2! 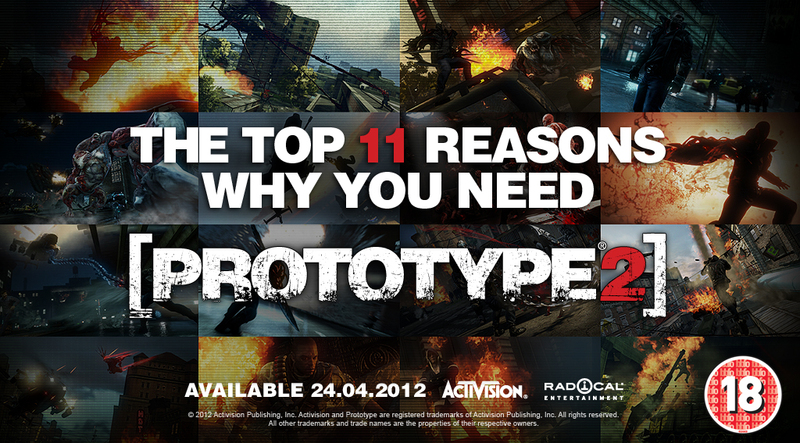 In this trailer we're given 11 good reasons as to why we have to play Prototype 2. Want to blow up a ton of helicopters or go hammer hunting?